Well, it's the 8th of the month and REVERSE CONFETTI has got a brand new shiny BLOG HOP for y'all to get lots of inspiration from. 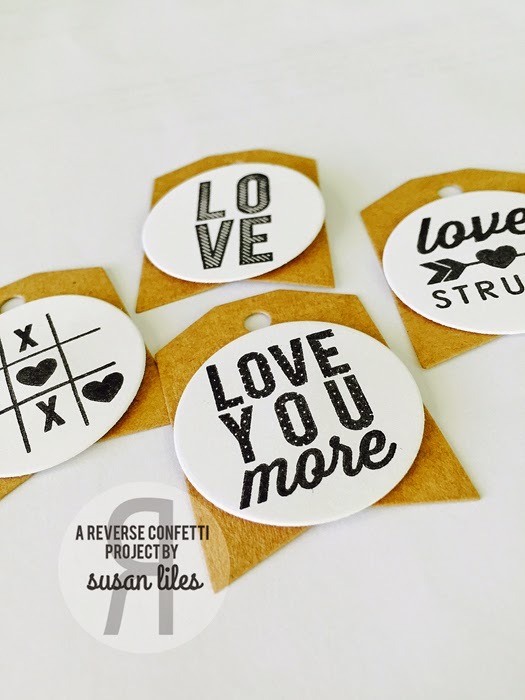 This time, the Confetti Crew and a few friends are having a "love affair" with making ABC (anything BUT a card) Valentine's projects. We're even going so far as to adding a few step-outs/tutorials along the way! The hop started over on the REVERSE CONFETTI Blog HERE and y'all should have made it my blog via LAURIE'S BLOG HERE. It would be worth your while to start at the beginning of the hop, so you don’t miss a thing! Being in the new house and not having a lot of decor to begin with, one of my goals for this year is to make a few DIY projects. My hope is to make some larger pieces (I have one in progress right now) and also come up with some fun smaller pieces for accents and some to change out seasonally. 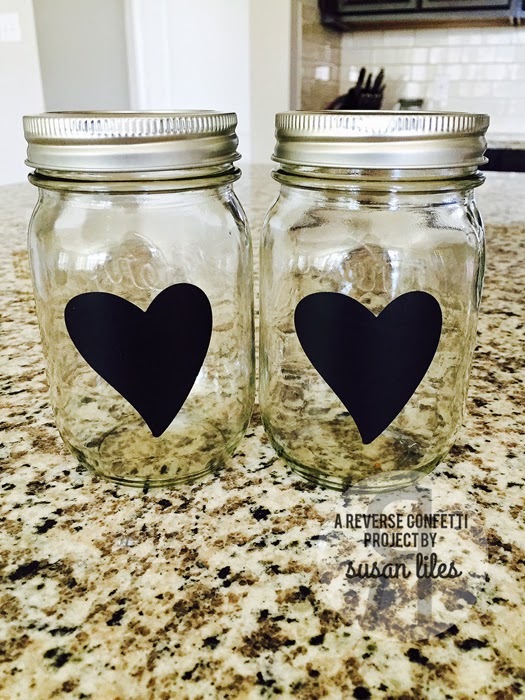 I've had cutting vinyl with REVERSE CONFETTI Confetti Cuts dies on my mind, so when I came across these sweet mason jars with the hearts "cut out" as inspiration on Pinterest, I knew exactly what to make and how I was going to give the project a little Reverse Confetti love! I couldn't wait to head out to Michael's, Dollar Tree and Home Depot for my supplies to get started: A few mason jars, some spray paint, and some of those battery operated tealights. 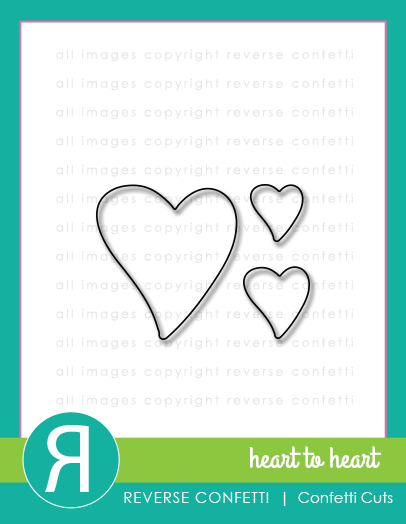 I already had some vinyl that I had used with my Silhouette some time ago, and I grabbed my HEART TO HEART Confetti Cuts die because it was the perfect size for my "cut out" heart image. I first wiped the jars down with a baby wipe to get any greasy residue from hands or grimy fingers off. Then, I simply die cut the vinyl (doesn't matter what color), the same way I would die cut paper with the HEART TO HEART die, and adhered them to the outside of the jar (the smooth side). I almost left them this way--they look so cute! It was time to spray paint! There's just something about spray paint that's so fun! Maybe it's just the smell that makes me happy! Or loopy. I spray painted right over the vinyl hearts, creating a reverse mask. Meanwhile, back at the farm, while my jars were drying (the red took a while), I came inside from the fumes and made the little tags I was to tie on with jute using the CRUSHIN' Valentine's stamp set from last year. I cut them into circles with the FRESH 'N FRUITY orange (the fruit not the color) die. That circle was the perfect size to layer on top of the smaller tag from the TAG ME Confetti Cuts. I kept the look very clean, simple and on trend. Hello, GOLD! When they were finally done drying, the fun part was peeling off the vinyl heart and seeing what a perfect image it left on the clear glass! I did have to do this slowly as some extra paint wanted to pull up along with the hearts on one of the red jars. Just go slow and start at the bottom when using that thicker, glossy paint. The metallic paint dried faster and had no problems with peeling. Just comment on each designer's blogs for your chance to win a $15 RC gift certificate. 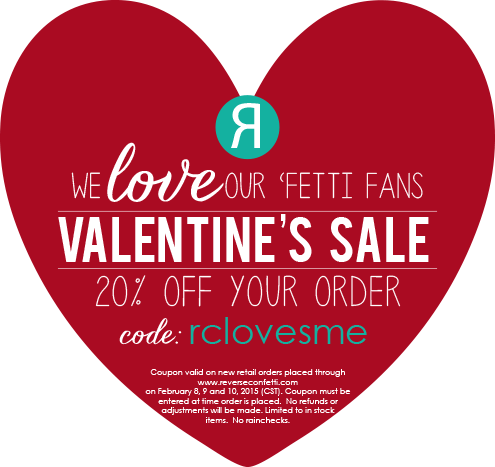 Comments will close on Thursday the 12th at noon CST and the winner will be announced over on the RC blog on Friday's "Week in Reverse" post. Good luck! 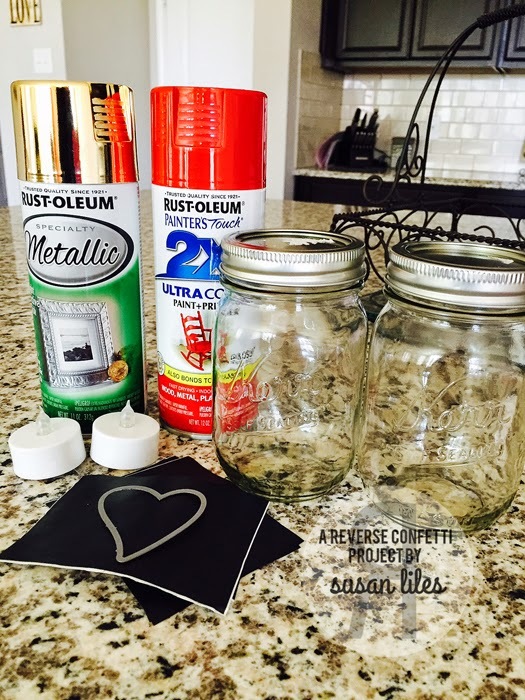 SUSIE Q-TIP: I found the perfect solution to not having to turn my jars and get fingerprints on them while spray painting. My crafting tool bag has a "lazy Susan" (I really hate that term) on the bottom of it so it can turn. It's detachable, so I took it and put double sided tape on it and mounted a piece of cardboard to it. With the jars turned upside down (which I recommend regardless if you have a lazy Susan), it was super easy to just keep turning them while I sprayed several light coats to cover my jars. Once painted, since the tape wasn't super sticky, I was able to pick up the cardboard, jar and all, and move them to the "drying area". A new piece of cardboard for each jar, and the painting went quickly! Hey Susan! I love your mason jar candles. You did a fabulous job. Thank you for sharing. 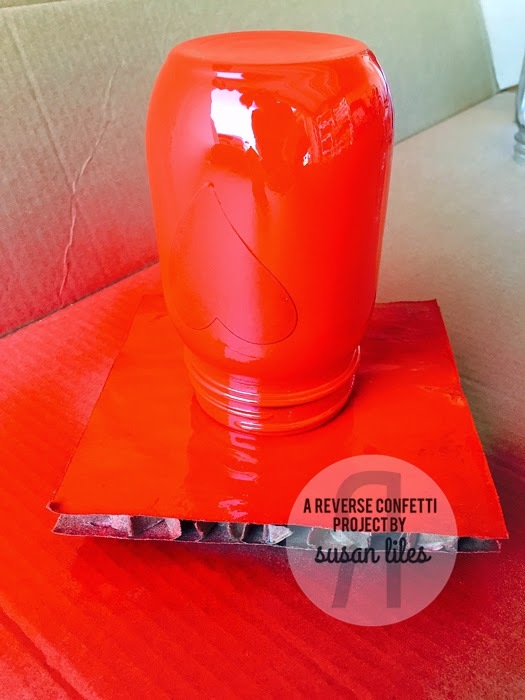 Susan- Can't wait to do this for 4th of July! We have huge party at our lake home and going to start saving jars now! They will be adorable in red, white, and blue as decorations and beautiful at night! Thanks! look at you! 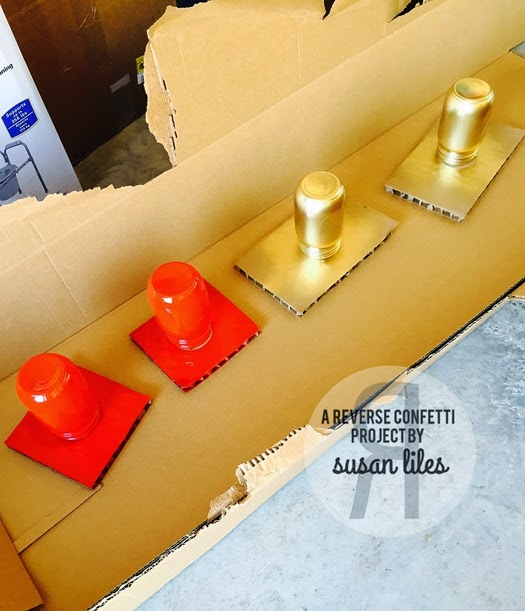 these are fantastic and look super easy to create. 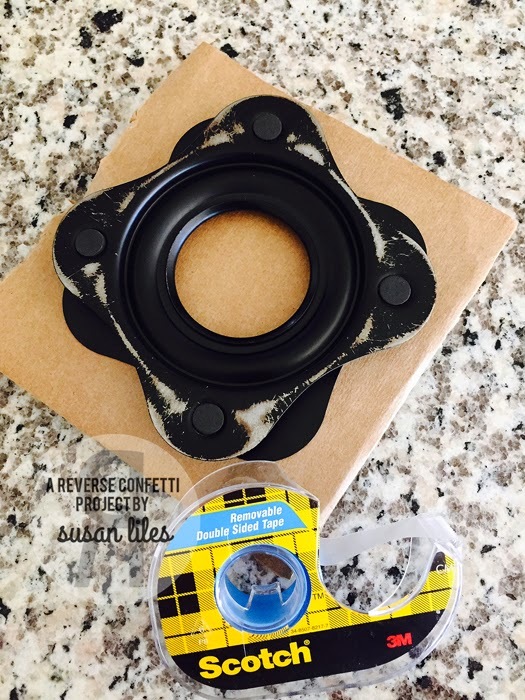 I always love your tips....super cool ideas and always resourceful! thanks for sharing. Susan, these are just gorgeous!!! I love the gold! Right on trend. Clever project! The jars are so pretty and shiny - love the gold! Thanks for the tutorial and the 'lazy Susan' tip. 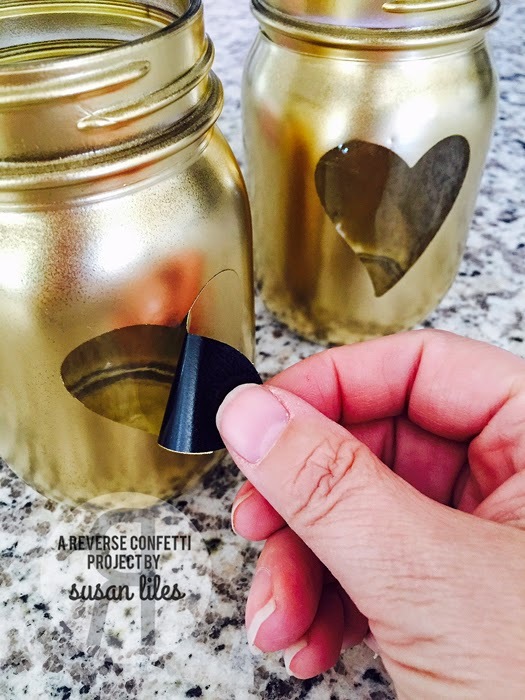 What wonderful creativity in designing these gorgeous jars, Susie! So incredibly pretty - and versatile! Home decor at its finest! Thank you for the tutorial..inspired! They should be called "Practical Susans", what a great idea. I definitely need to make s few of these. As for the jars...How CUTE!! I especially love the Gold Jar. BEAUTIFUL home made decoration for Valentine ! Thank you for the tutorial ! 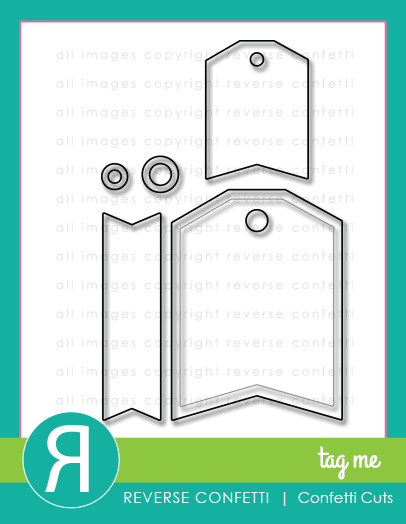 This is a great idea and you could use different die cuts for different times of the year. Thanks for the tutorial! FAB jars! Like the turntable idea (no, not all Susan's are lazy, just as not all blondes are dumb! smile). Thanks for the tutorial and inspiration! The gold is my favorite. Such a creative idea - love it. Eeeks...LOVE this and need me some jars pronto!!! Love this idea and that heart die is so adorable with this!! What a great idea and thanks for the tutorial! Especially love the gold jars! Beautiful home decor project...can easily be changed up for different holidays! Great project! That lazy Susan is so smart! How freakin clever is that lazy susan idea!! I love the mason jars!! The spray paint looks so super smooth & bright!! Have to try this sometime, but going to have to come up with my own lazy susan!! What a terrific idea, Susan!! 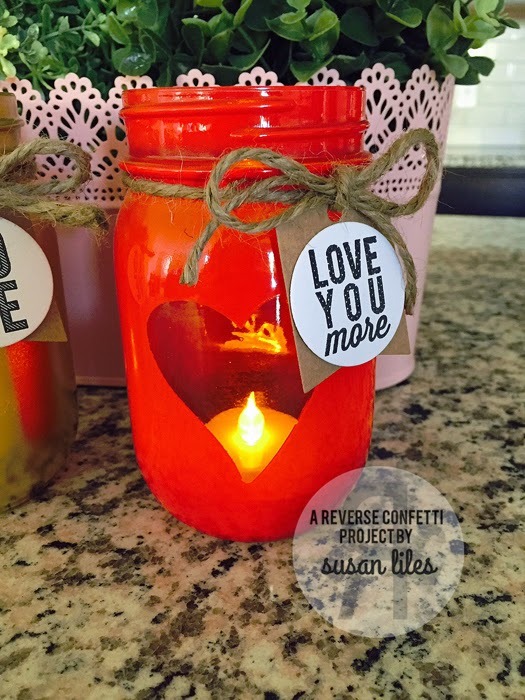 Love the idea of putting a little light in the jar and leaving a "window" - super cute! Thanks so much for the inspiration! Cool DIY project! Thanks for sharing it. Enjoy your new house. Awesome Susie! Thanks you for the tutorial! 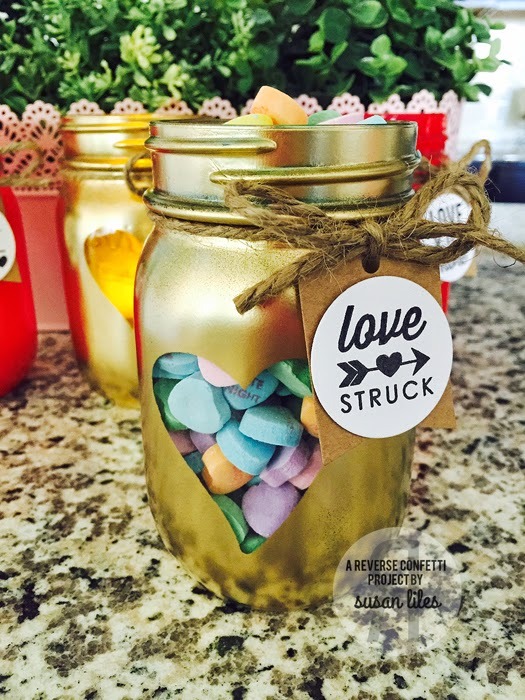 Love the jars! Great project. 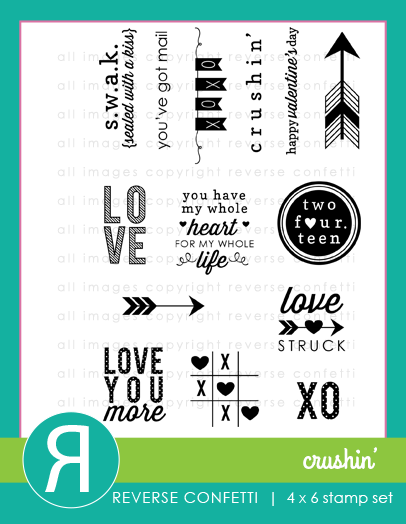 These are so cute - love the heart die. LOVE it! LOVE it! LOVE it!!!! I'm thinking I may make a few for DD. Thanks for the inspiration! These are gorgeous! Great idea! Look forward to more home projects! These are beautiful treat jars! These are super creative and look just beautiful! Adorable! These are adorable! Very fun project! Love the tealight idea! I am SO tempted....that gold looks so awesome!! your candle holders are so fabulous! Oh, these jars are fantastic. Love the smooth finish. Love these jars! Great project! awesome and so elegant project! What a great idea. So much easier to spray the whole jar rather then trying to just paint a little piece (the heart). They will make great accent pieces for the people who receive them. I'd love to have one - guess I better get busy and start painting. thanks for sharing a fast and fun idea. oh no, this is just too too cute! I love it so much! Especially the gold spray paint. makes it super fancy. And i love how you did just black and white tags. really helps the jars to shine. simple and striking! wow these look amazing...love the gold one! thanks for the painting tip. These are absolutely beautiful! Awesome job!!! These are AMAZING projects!!! I just LOVE how dies can transform any little project into a wow factor!! !